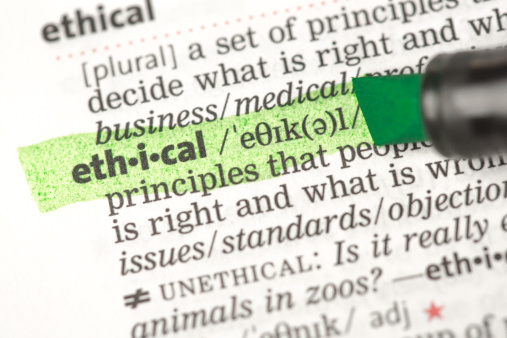 Although ethical behavior in business is often touted, it can be hard to attain in practice. That's because ethical behavior has to be practiced by every individual, every day. It's not the sort of thing that can be decided upon and implemented en masse. Leaders are often under particular pressure to be practical over ethical. The reasoning is often because hard decisions require frequent compromise, and ethics often come across as black-and-white perspectives that don't match the reality facing a decision-maker. However, ignoring ethics can be a dangerous path. Nick Leeson provides a very vivid example of this. His name is well known in financial circles as the man who single-handedly put the Singapore financial markets into a panic and brought down one of Britain's most famous banks. Interestingly, following good ethics not only avoids situations like Leeson's, but it also works as a defense for a business leader. The adage, "actions speak louder than words" is true for ethics as well. Ethical behavior not only keeps employees behaving on the right side of the law, but it also gives managers and leaders incentive to work for more than just the bottom line. Ethics can incorporate greater goodwill for the community a business operates in, safety protection of employees and customers, market protection from unscrupulous players, and far better interaction with the government and regulators. All of which, in turn, help a company see a larger bottom line. No question, the ethical path isn't always the easiest. However, leaders of companies and organizations need to remember that good ethics involve more than just an individual perspective; by the very nature of their role, top managers affect all of the organization and set an example for staff to follow and the community to model after. Good ethics can be far more than just a set of rules; it can be a powerful marketing/communication tool positively setting a business apart in the market from competitors and creating the long-term foundation for customer retention.